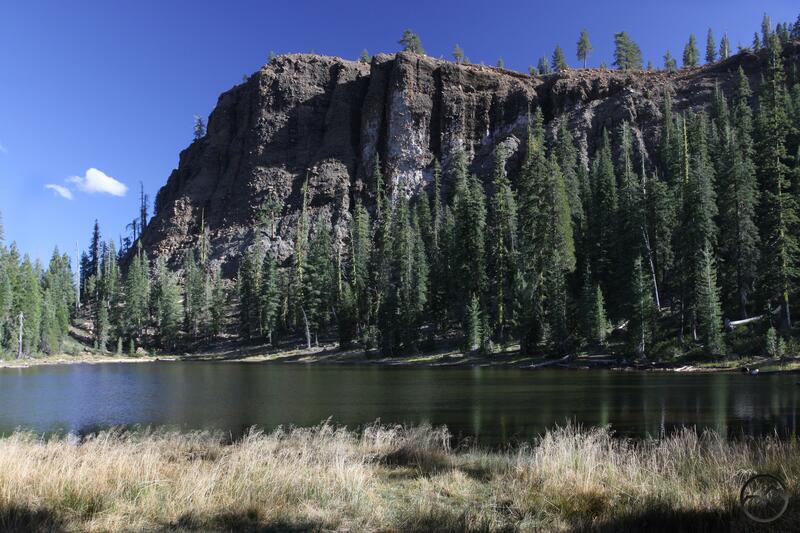 The Cement Bluff is a fascinating presence above Bluff Lake. 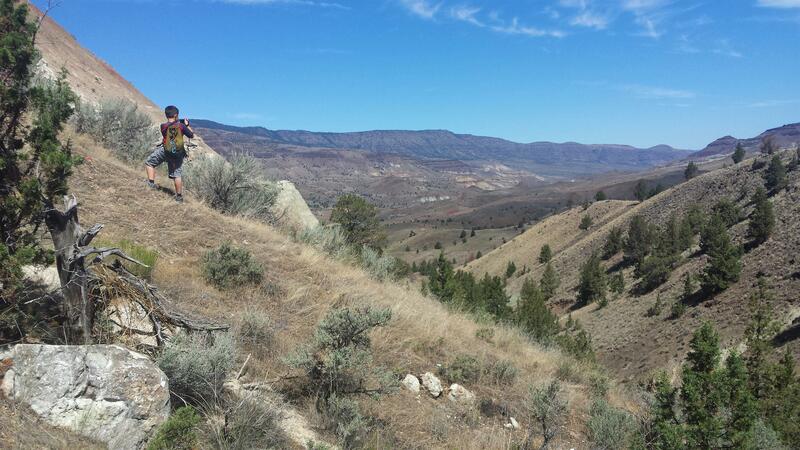 The final PCT Spotlight focuses on a beautiful section of trail that travels from Parks Creek Pass to the Cement Bluff. 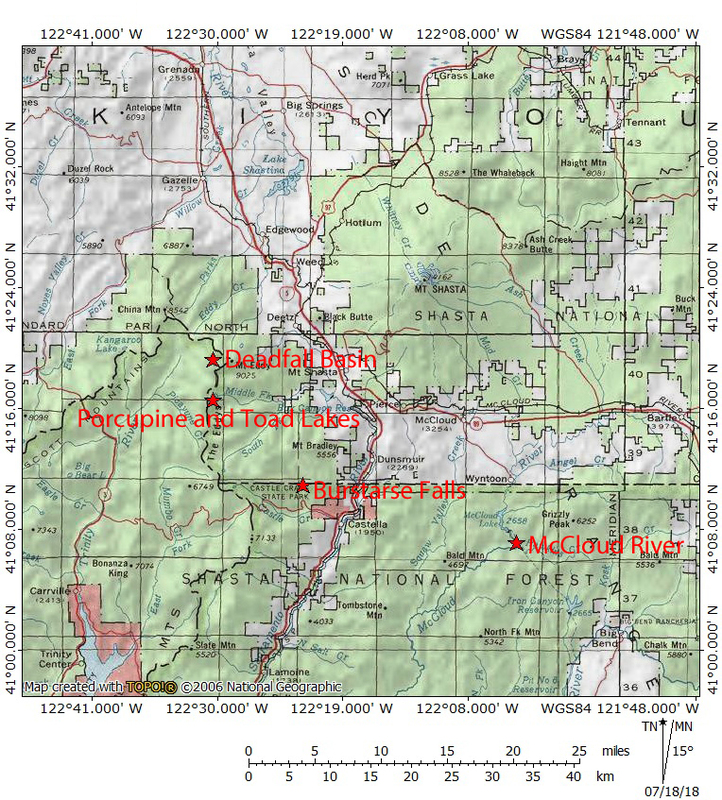 This part of the PCT sees significantly fewer day hikers than the other portions featured in this blog series, despite beginning at the popular Parks Creek trailhead. This is probably due to the obscurity of the Cement Bluff and small Bluff Lake, which lies at the foot of the odd formation. 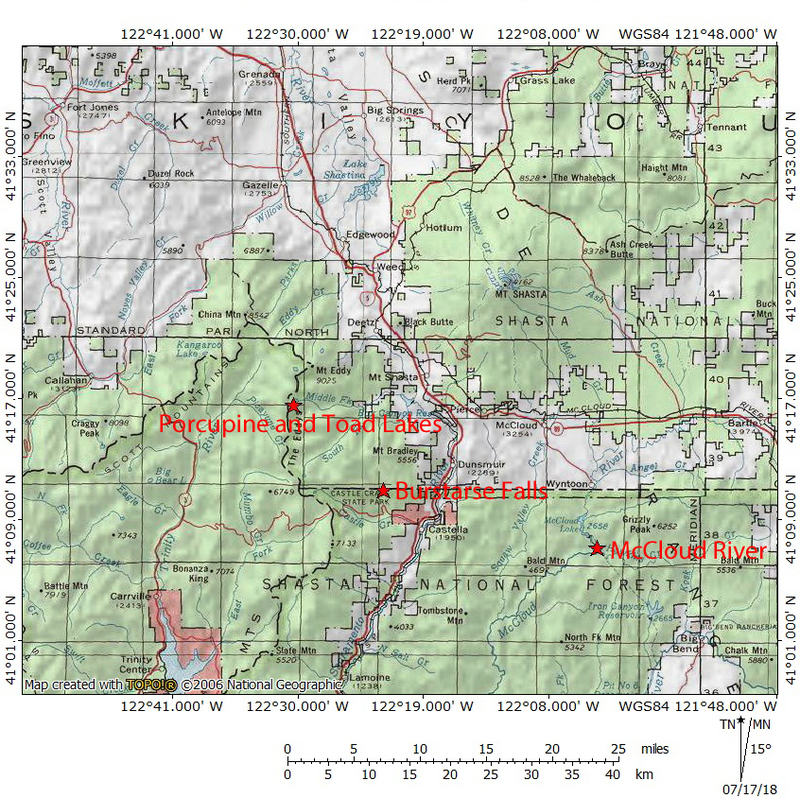 The hike to the Cement Bluff is the first section of the PCT to pass through the Scott Mountains, leaving the Trinity Divide behind at Parks Creek Pass. Though it is about 10 miles round trip from the trailhead to the Cement Bluff and back, it is a remarkably easy trip due to the level grade of the trail. The path makes a sweeping arc around High Camp Basin. This large bowl, along with adjacent Deadfall Basin, is the headwaters of the mighty Trinity River, which flows west for 165 miles to its confluence with the Klamath Mountains. Along the arc of the PCT, the trail passes through mostly open terrain, revealing many excellent views of the remote Scott Mountains. 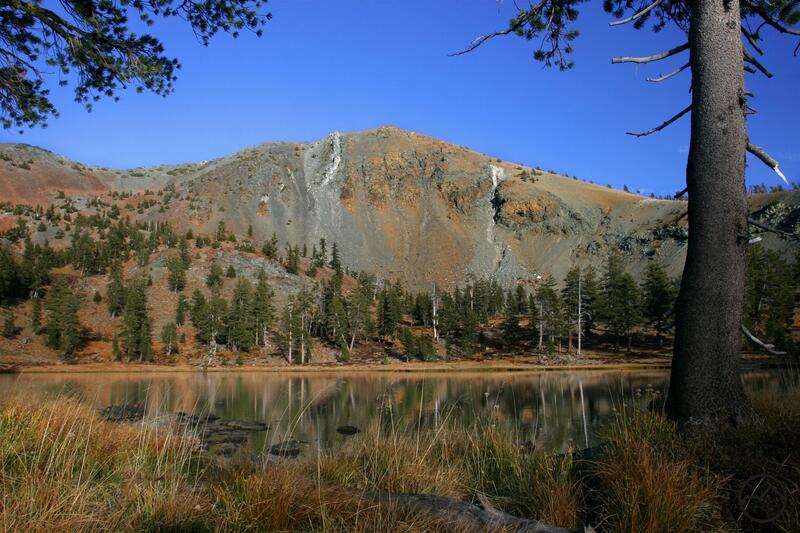 The destination for the hike is the fascinating Cement Bluff formation and small Bluff Lake. The Cement Bluff rises 300 feet over the lake. Its exposed cliff is composed of numerous boulders, both massive and small accreted together. It is a beautiful and unusual site. This portion of the PCT is great for hikers willing to make the push all the way to the Cement Bluff. The views of High Camp Basin and China Mountain are excellent throughout. There is also a rarely seen but great perspective on Mount Eddy and Deadfall Basin from the top of the Cement Bluff. For hikers willing to do a little off-trail scrambling there is also a really good perspective on Mount Shasta from the ridge above the trail on the east side of High Camp Basin. If there is a real drawback to this hike, it is the lack of a maintained route descending from the PCT down to Bluff Lake. There is an obvious, established path descending down to the lake but it is steep and not a lot of fun climbing back up. Nonetheless, it is worth the effort to get to the small lake. It is beautiful in its own right but the view of the Cement Bluff’s strange cliff is one of the more unique settings in the Mount Shasta area and one not many people get to enjoy. Mount Shasta seen from the ridge above the PCT. Cliffs line the rim of the basin, above the PCT. Burstarse Falls is a great destination on the PCT. I was torn about which hike on the PCT to feature today. Naturally it had to be somewhere in the Castle Crags, but there are a few good choices. Considering that I have 5 days to feature trails before the Trail Town kick off and the first was dedicated to the section along the McCloud, I thought it was important to focus the next selection on the Castle Crags. There are a few good choices for this section but in the end, I selected the trip to Burstarse Falls. The hike to the falls is a fantastic but relatively easy hike to a great waterfall. 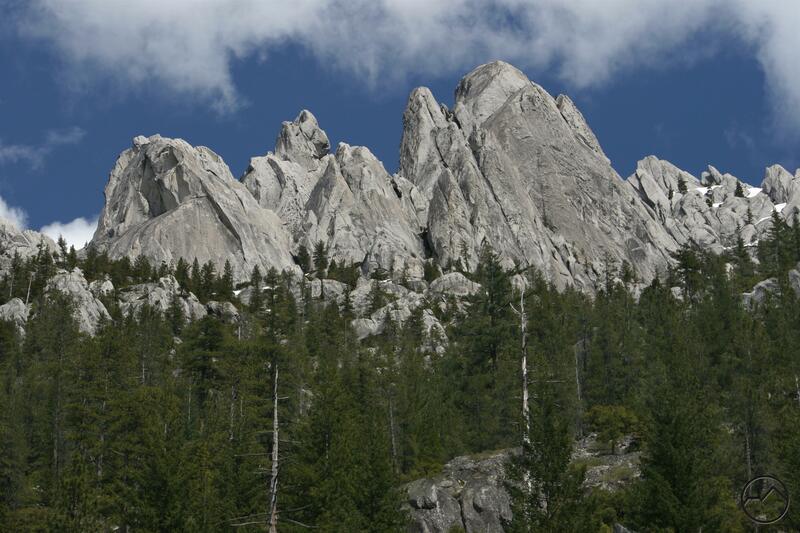 It also features some great views of the granite towers of the Castle Crags, which can be frustratingly hard to come by, consider their epic size and how much trail crosses them. 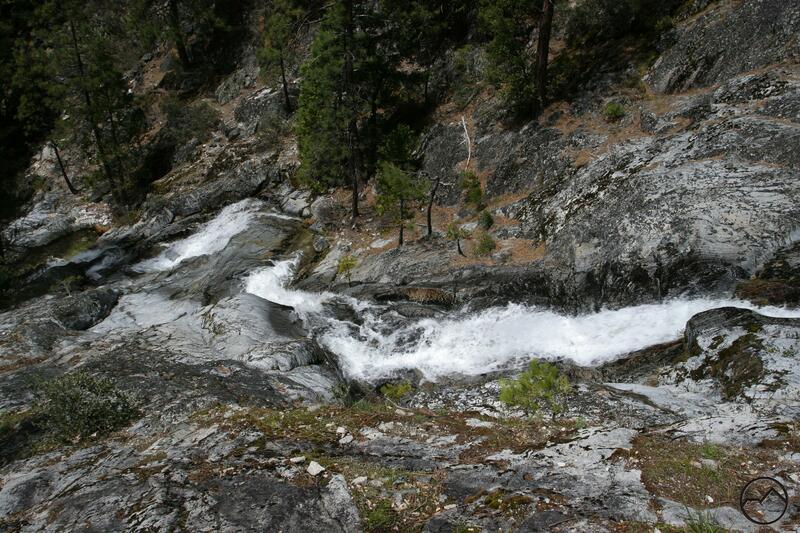 The real delight of the hike, however, is Burstarse Creek. Naturally the falls is the culmination of this, but the creek itself is a highlight reel. Upon arriving at the creek, it tumbles down an attractive 10 foot waterfall before flowing across the trail and then pouring into a narrow granite gorge. Following the use trail upstream, hikers are presented with a chance to walk to the bottom of Lower Burstarse Falls, which is a pretty 25 foot plunge. Above this, the creek races through a series of granite chutes. These are very reminiscent of creeks in the Sierra Nevada. Burstarse Falls itself lies a little further up the creek. It shoot off a tall granite cliff before hammering the rocks below, where it explodes into numerous small cataracts. These recombine and continue the creek’s journey down to Castle Creek. It is a wonderful spectacle. 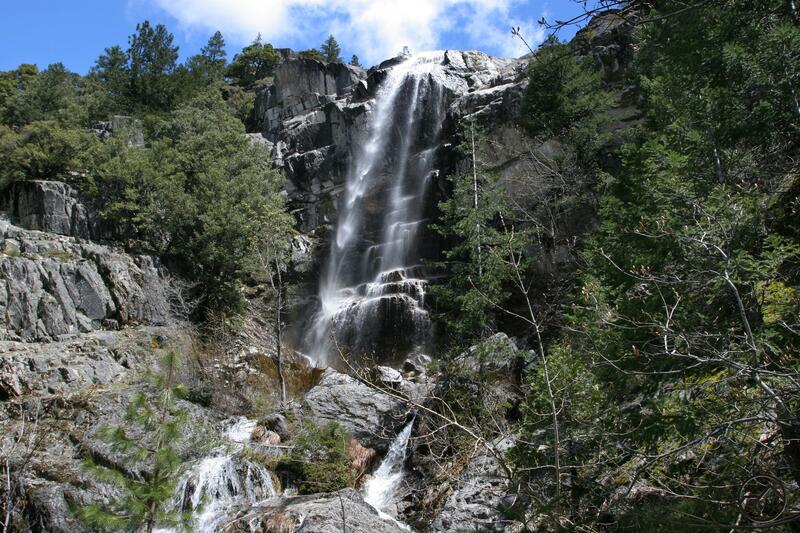 The hike to Burstarse Falls is along the PCT’s long, gradual climb across the southern flank of the massive Crags. 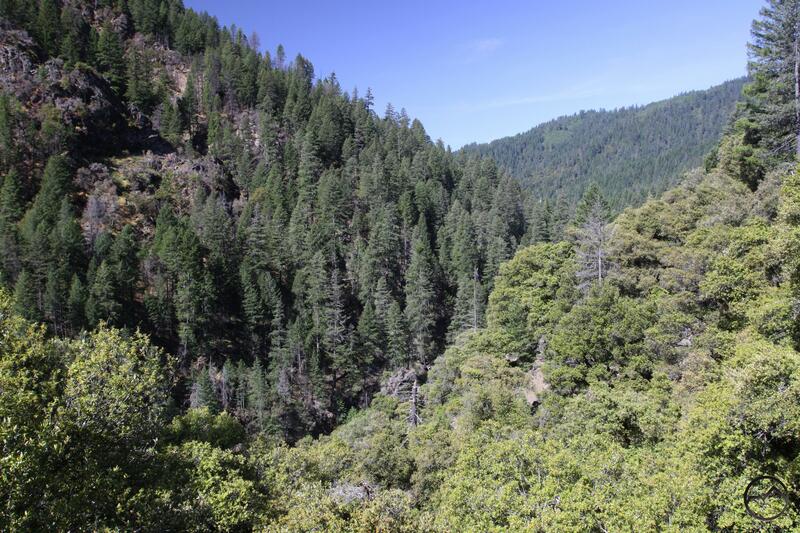 After leaving the McCloud River, the trail surmounts a small divide, and then drops down to Squaw Valley Creek. From there it makes a long ascent of Girard Ridge before descending along Falls Creek down to the Sacramento River. It crosses the river and immediately begins climbing up, out the canyon, gaining elevation along the southern flanks of the Castle Crags. These enormous spires are the most rugged terrain encountered by the PCT since the Bucks Lake Wilderness in the Sierra Nevada. I was really tempted to focus this installment of the PCT Spotlight on the Soapstone Trail. 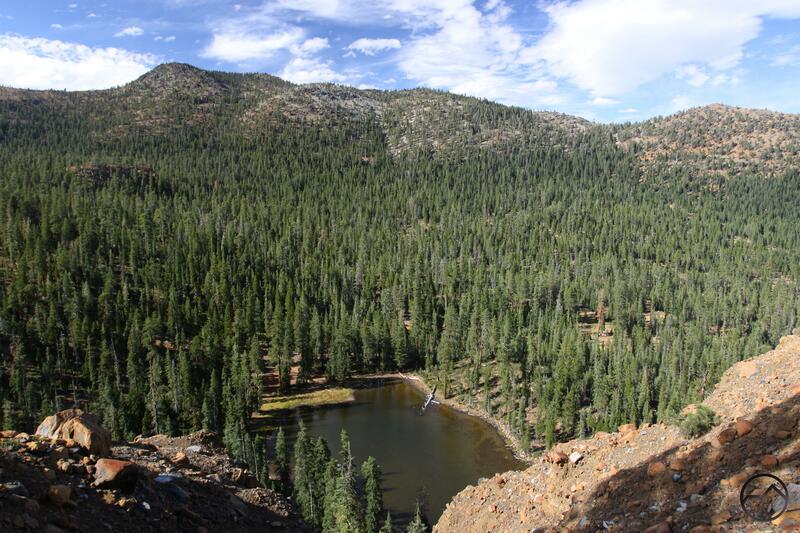 This hike features a short section on the PCT and boasts one of the most spectacular views in the whole area. I ultimately chose the classic Burstarse Falls hike, but I would strong encourage everyone to explore the Soapstone Trail and check out the spectacular view of Mount Shasta and the Castle Crags! 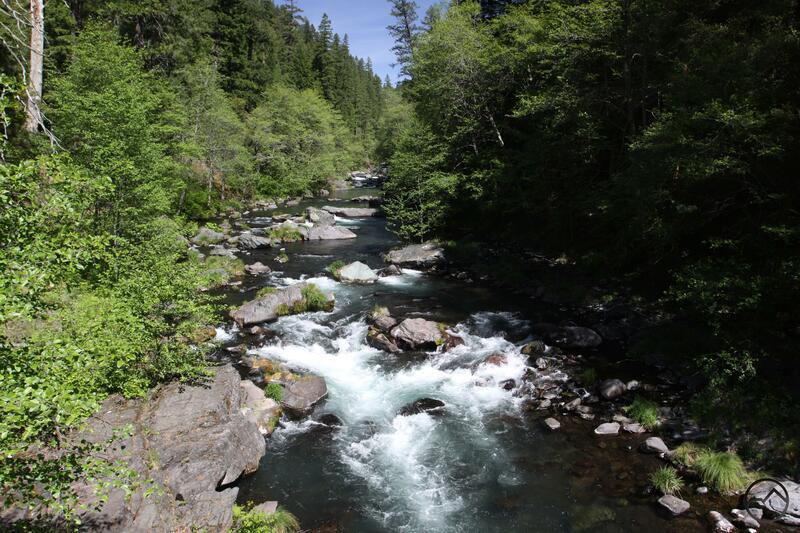 The McCloud River from the PCT bridge. 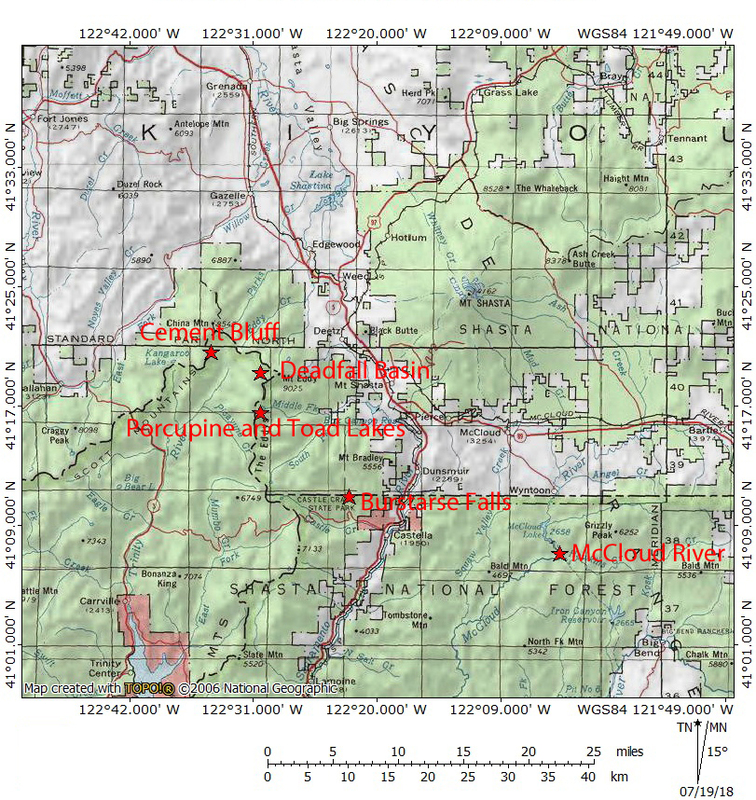 With the Pacific Crest Trail Town kick off coming next Saturday, I thought I would highlight one PCT hike in the Mount Shasta area each day of this week. I will feature these in the order a thru-hiker would encounter them as they approached from the south. Hopefully this will encourage everyone to get out and explore the PCT and appreciate what a blessing it is for hikers in this region! So, the first trail I want to focus on is the section of the PCT that stretches from Ash Camp to a road crosses near the Ah-Di-Na campground. This beautiful stretch of the McCloud flows just downstream the dam impounding Lake McCloud but there is no hint that the river had recently been tamed. Here it is a wild, raucous waterway, pouring through large rapids formed by substantial boulders. A sense of isolation permeates that area despite being relatively close to McCloud and accessed easily from there. All in all, it is a beautiful area and one that is often overlooked by hikers. A large cataract on the McCloud River. 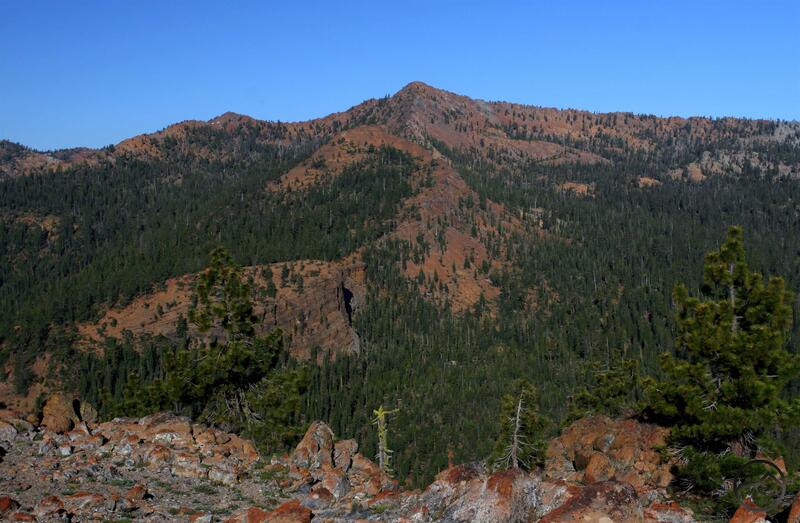 This section of the PCT generally follows the crest of a long ridge that runs from just north of the Pit River in an arc west toward Grizzly Peak and then down to the McCloud River at Ash Camp. 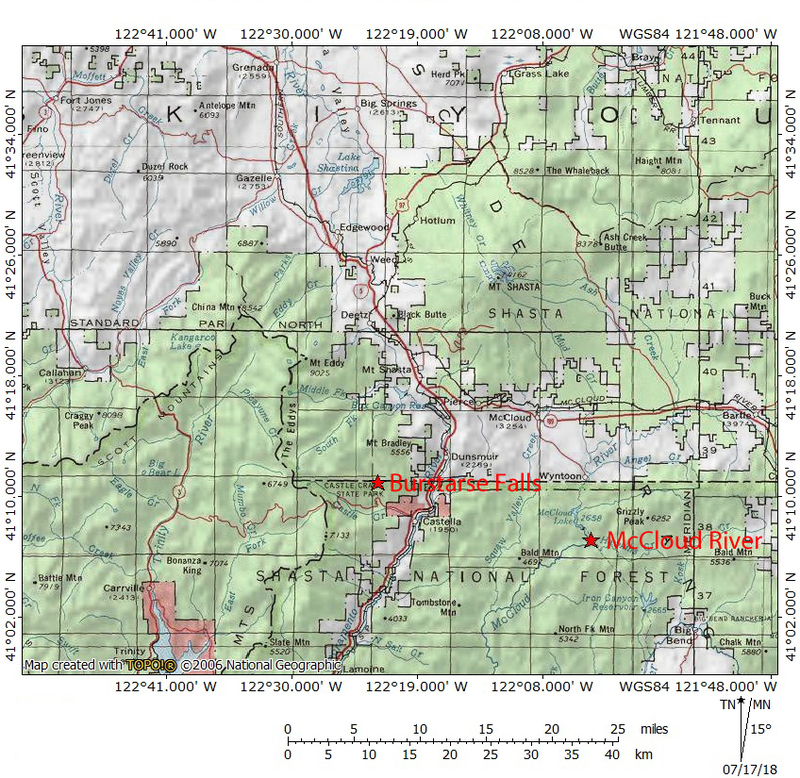 It is possible to follow the PCT east from here to Butcherknife Creek but the more interesting hike is to follow the McCloud River west for a few miles. There are numerous place to drop down to the river (steeply sometimes) and some really nice, large cataracts that almost approach the level of being waterfalls rather than big rapids. 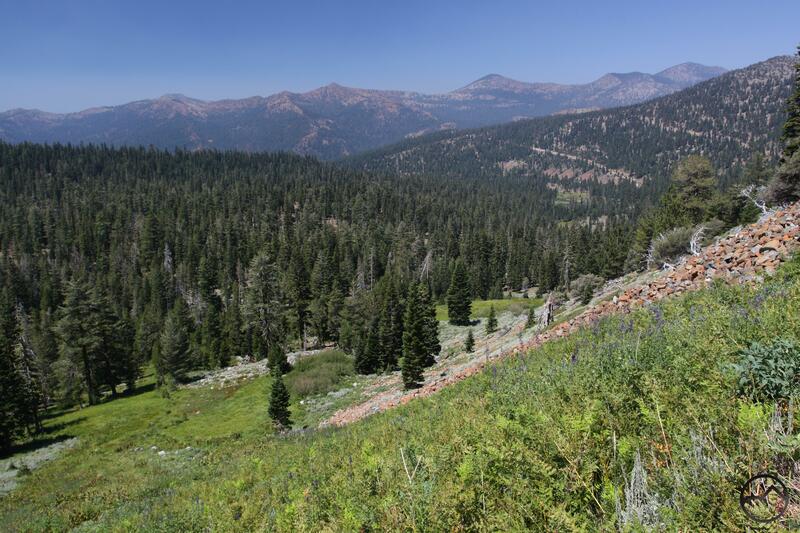 The PCT eventually crosses a dirt road and begins a long climb up and over a ridge to Squaw Valley Creek. Instead of following the trail, hikers do best to turn left on the road and follow it about 0.5 mile down to the Ah-Di-Na campground. This area has good river access and some fascinating history. 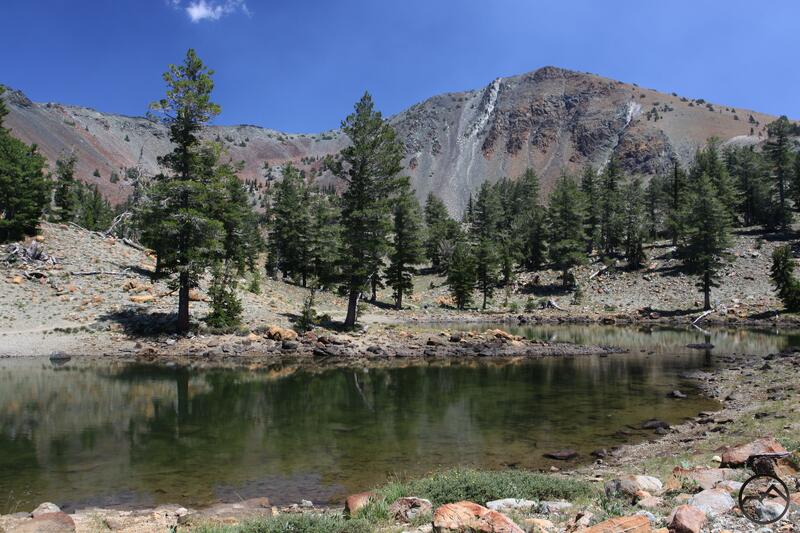 This hike is quite different from the other PCT hikes in the Mount Shasta area. The man feature is the river, rather than the surrounding mountains. The passage through the McCloud’s canyon gives this hike a sense of remoteness that the other hikes don’t necessarily have. I think that that is due, in large measure, to the fact that Mount Shasta is not visible from the trail here. It just feels cut off, but in a good way. No matter what hiker’s feel here, this is a beautiful section of the PCT and one that hikers should consider more often. 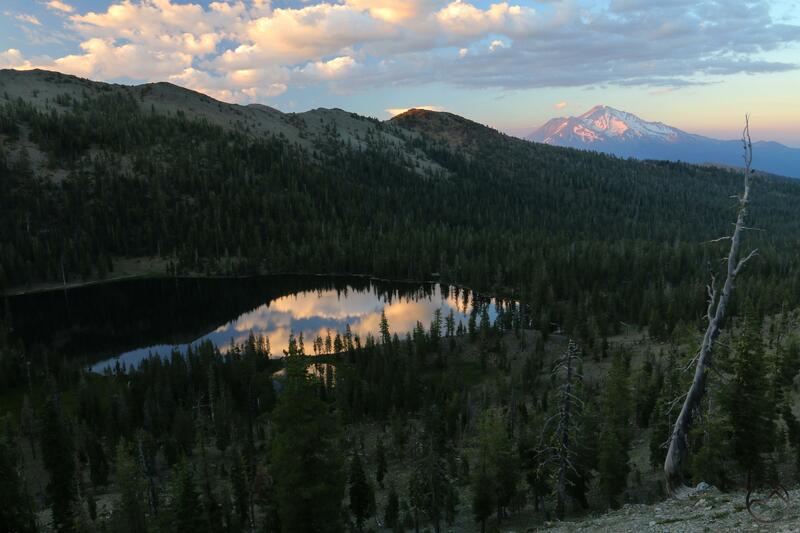 Mount Shasta and spectacular Pacific Crest Trail sunset. 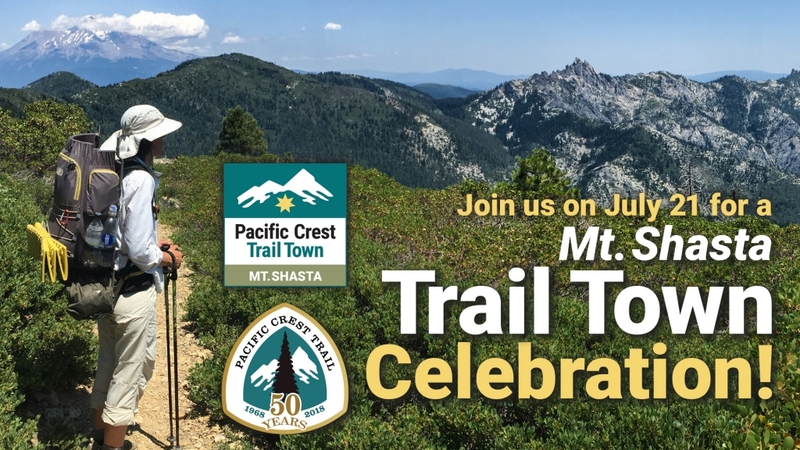 Next Saturday, July 21st, the city of Mount Shasta will be recognized as the very first town to be identified as an official Pacific Crest Trail Trail Town. This is an exciting recognition for our community, particularly considering all the towns the PCT passes near on its 2,659 mile journey from Mexico to Canada. 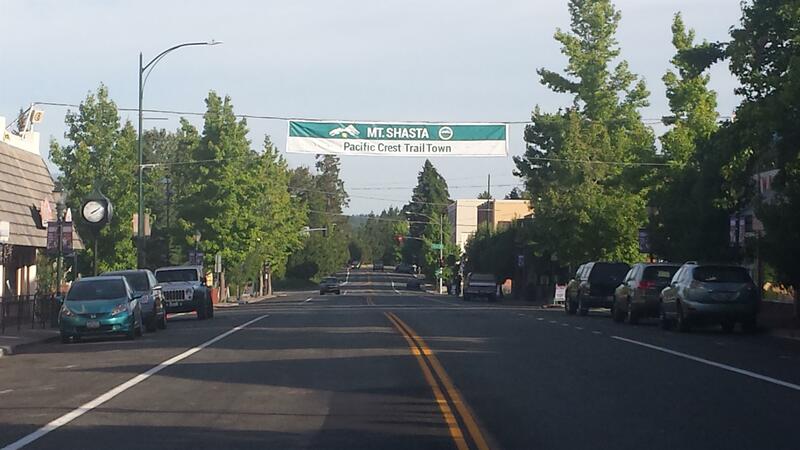 It makes sense that Mount Shasta is the inaugural town in the new program run by the Pacific Crest Trail Association. 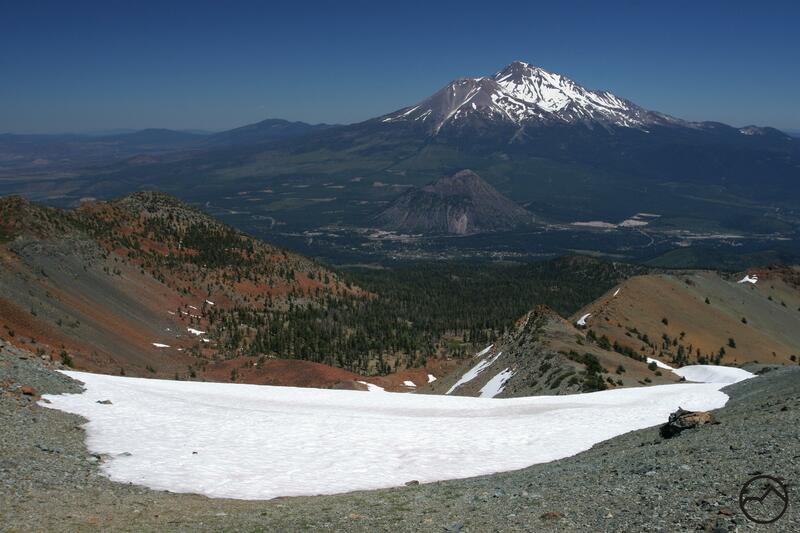 No other mountain dominates the PCT like Mount Shasta, visible (to varying degrees) for about 500 miles of the trail, it is a constant presence for thru hikers (people completing the entire, continuous journey from Mexico to Canada) that lingers deep into Oregon. However, there is more than the mountain that makes the town a good place to kick off the Trail Town program. 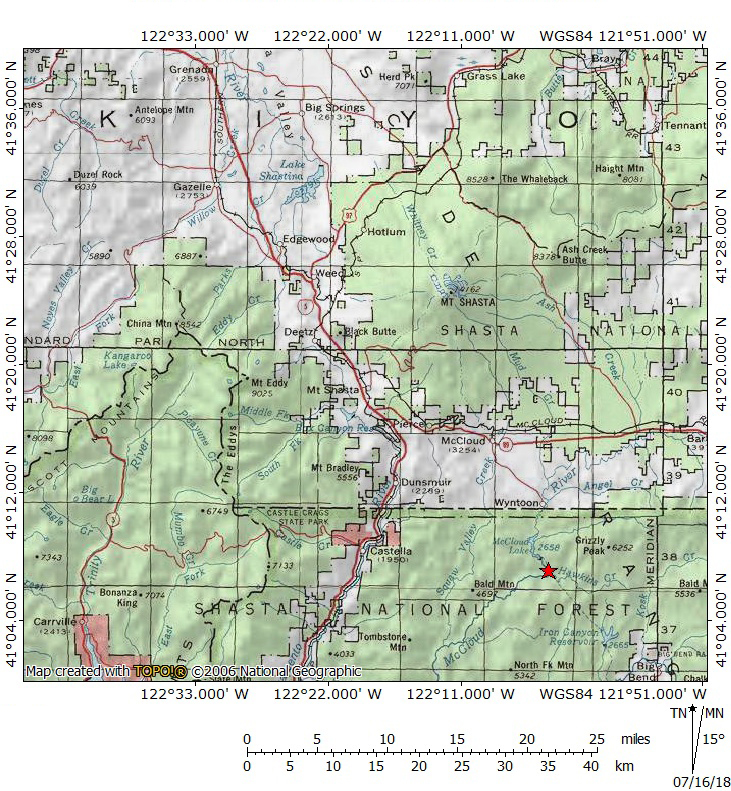 Mount Shasta is centrally located in relation to the rest of the trail. Hikers would pass through the town after completing about 3/5’s of the trail. 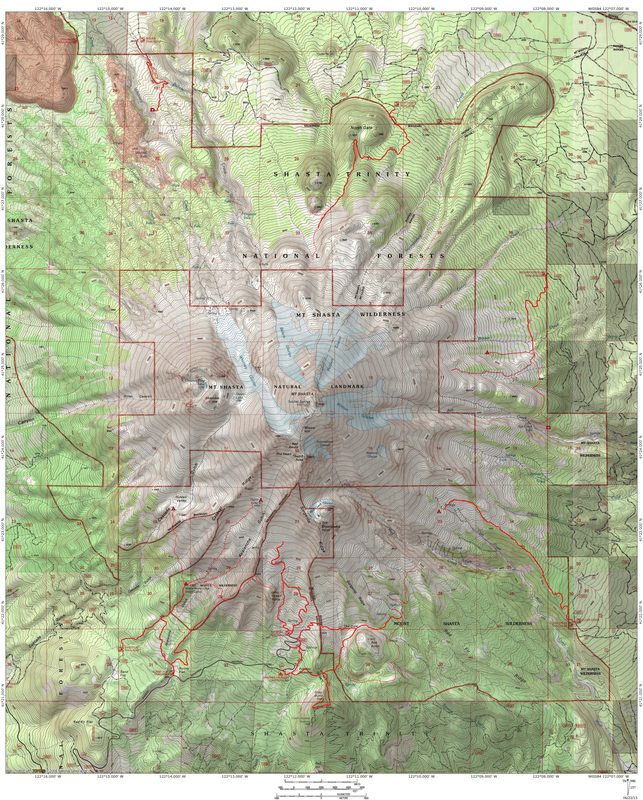 This means that it is roughly equidistant for PCT enthusiasts in northern Washington and Southern California, and all points in between. Also, the way the mountain looms above town gives Mount Shasta a sense of being “on the trail” in a way many other communities near the trail don’t necessarily posses. Getting ready for the Trail Town festival. 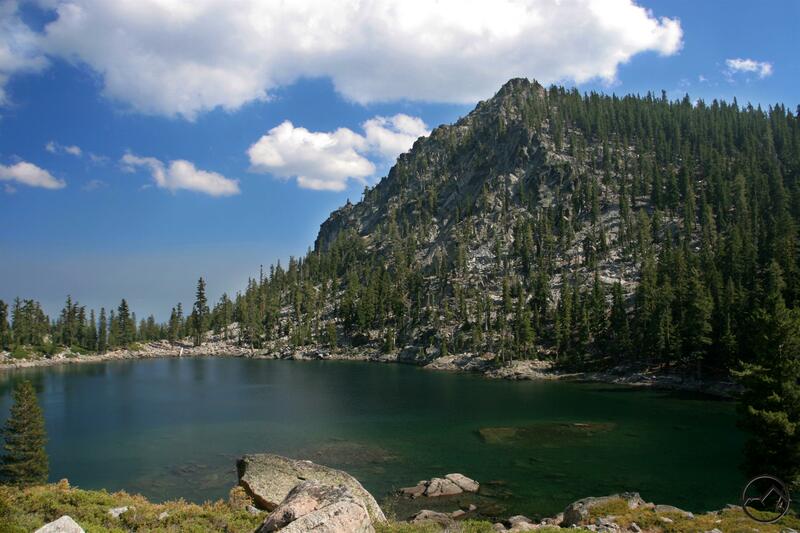 The festival will begin at 8:00 AM with a guided hike on the PCT. I believe that the hike will begin at the Gumboot trailhead. At noon, the activity will shift to the downtown area, where there will be numerous demonstrations covering a variety of hiking and PCT related topics. Many of these will be put on by local community groups including the 5th Season and Shasta Mountain Guides. Other groups, including the PCTA will be there doing demonstrations as well. Shockingly, I have been invited to have my own booth as well. I will be there talking about local trails, other hiking destinations in the area as well as teaching knot tying. There will also be food and music. It is going to be a great community event and I hope that everyone will come and check it out! 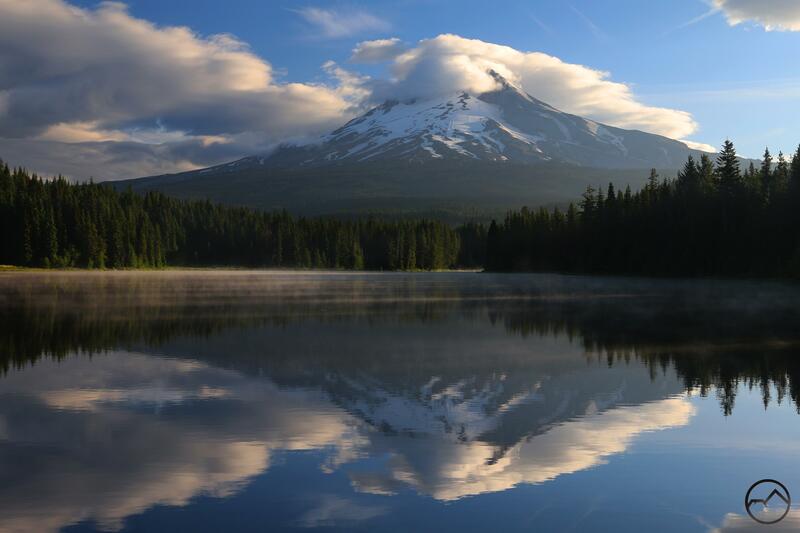 I am particularly excited at the prospect of Mount Shasta, as a community, embracing the fact that we are an excellent destination for hikers, as well as other forms of outdoor recreation. I think that this really is the way forward for not just this town, but for all of southern Siskiyou County. If the recognition of this fact from the PCTA manages to really kick this off as an identity for this town, then all the better. 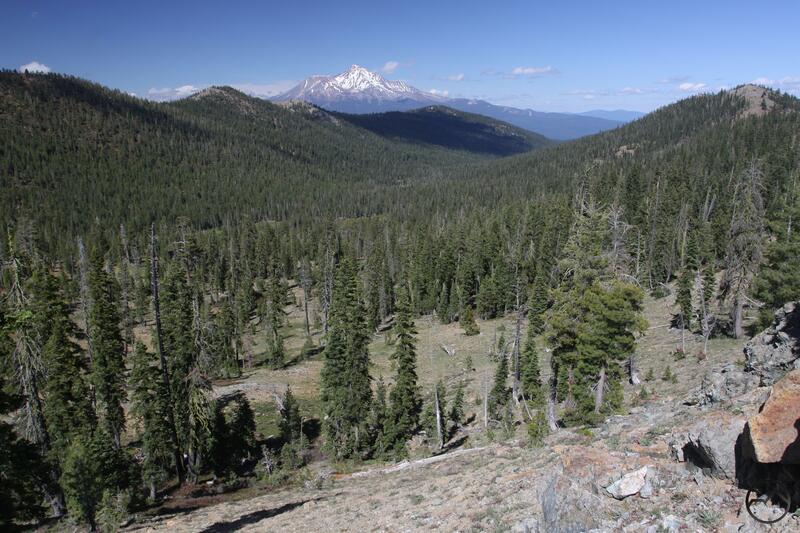 We are fortunate to have such a great section of the Pacific Crest Trail so close to Mount Shasta. 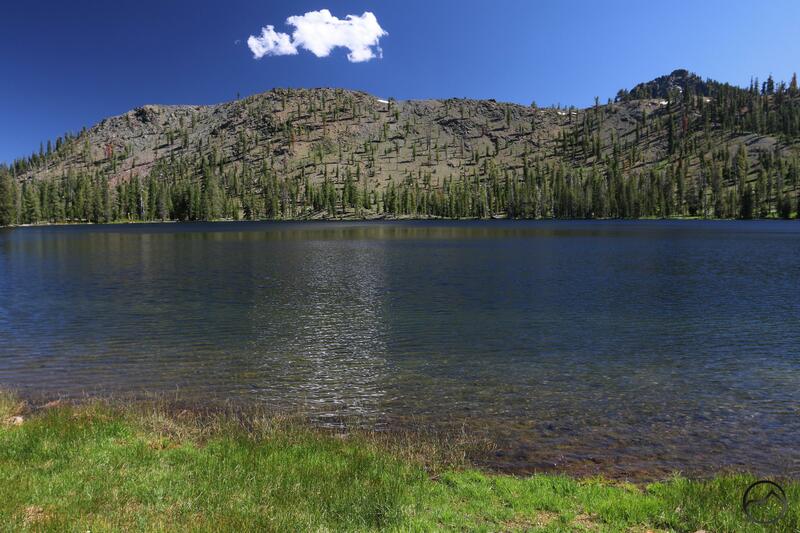 It connects many of the best destinations in the Trinity Divide, creates several opportunities for great backpacking trips and longer hikes, and establishes a trail link to the Trinity Alps and the southernmost part of the Cascades and Sierra Nevada beyond. Whether out for a day hike, a longer overnight trip, or hiking from Mexico to Canada, it is a fantastic asset for the area. I hope everyone enjoys hiking it as much as I do. Here is a gallery of images taken from the PCT that stretches from McCloud to Trinity Summit, all of which roughly falls within the Mount Shasta orbit!